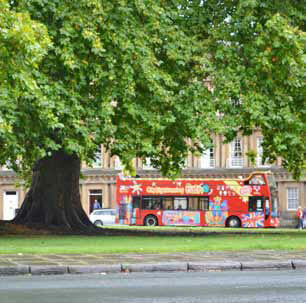 In addition to London is known to be a metropolis, England has another city that is not less charming, called Bath. The city in Somerset province, located 156 kilometers west of London, is thick with classic "colors" and is listed on the World Heritage Site. 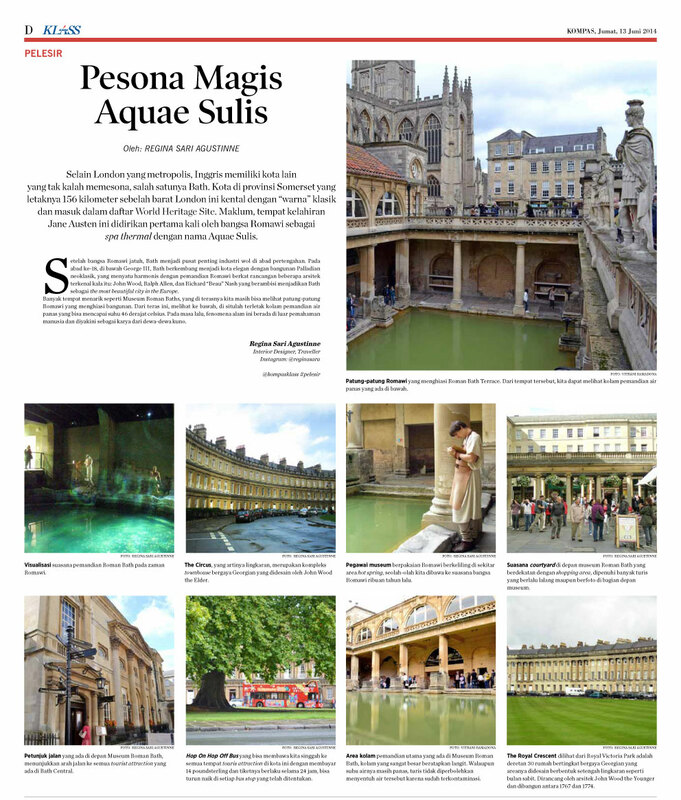 Understandably, the birthplace of Jane Austen was first established by the Romans as a thermal spa with the name Aquae Sulis. 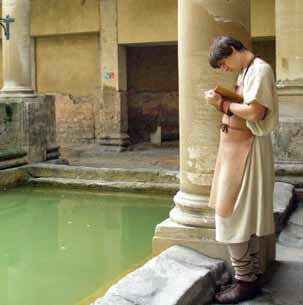 After the fall of the Romans, Bath became an important center of the wool industry in the Middle Ages. 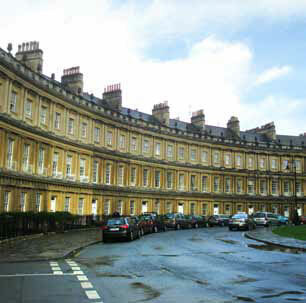 In the 18th century, under George III, Bath evolved into an elegant city with neoclassical Palladian buildings, fused harmoniously with Roman baths thanks to the design of some of the famous architects of the time: John Wood, Ralph Allen, and Richard "Beau" Nash ambitious Bath as the most beautiful city in the Europe. 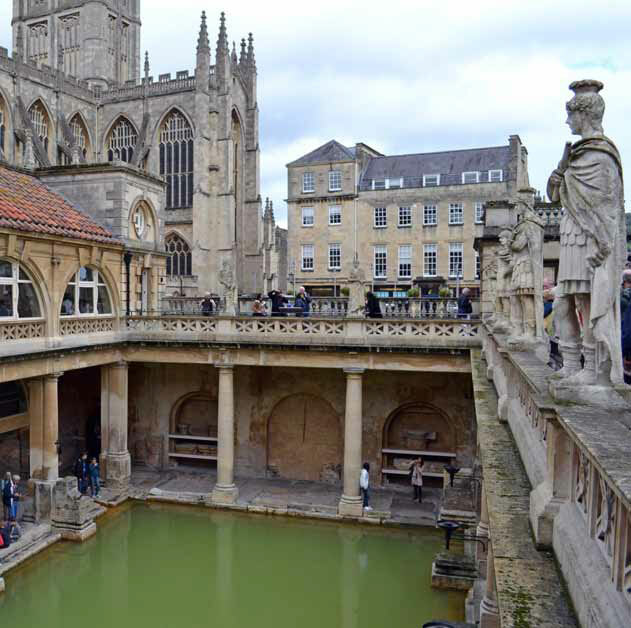 Many places of interest such as the Roman Baths Museum, which on the terrace we can still see the Roman statues that adorn the building. From this terrace, looking down, there is a hot water bathing pool that can reach a temperature of 46 degrees celsius. In the past, this natural phenomenon was beyond human comprehension and believed to be the work of the ancient gods. Roman sculptures that adorn the Roman Bath Terrace. From that place, we can see the pool of hot water that is under it. 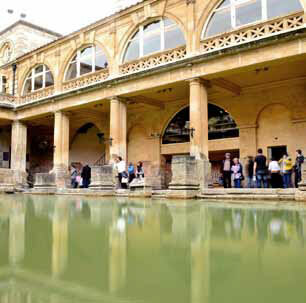 Visualize the atmosphere of Roman Bath baths in Roman times. The Circus, which means circle, is a Georgian-style townhouses designed by John Wood the Elder. museum staff dressed like Roman times while wandering around the hot spring area, as if we were taken to the atmosphere of the Romans thousands of years ago. 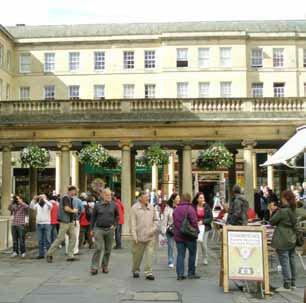 The courtyard atmosphere in front of the Roman Bath museum which is close to the shopping area, is filled with many tourists passing by and taking pictures at the front of the museum. 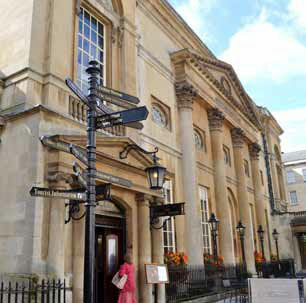 Directions in front of the Roman Bath Museum, showing the way to all tourist attraction in Bath Central. Hop On Hop Off Bus that can take us to all touris attraction places in this city by paying 14 pounds and the ticket is valid for 24 hours, can go down in every bus stop that has been determined. 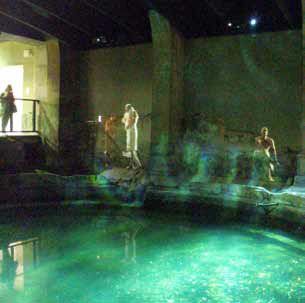 The main bathing pool area of the Bath Roman Museum, a very large pool with sky. 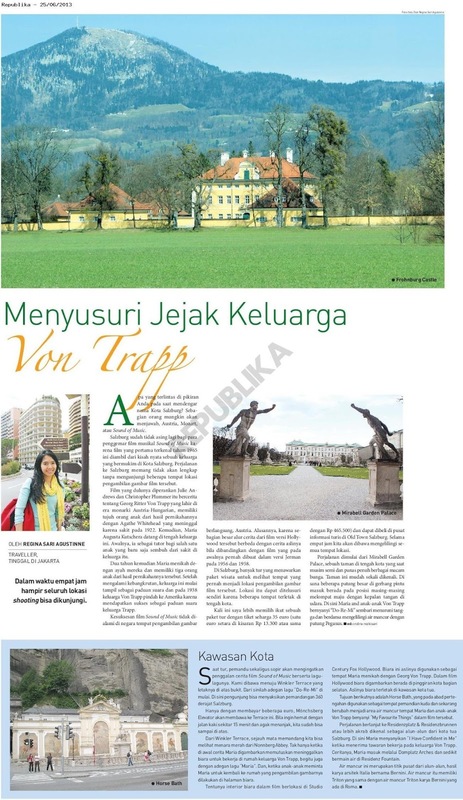 Although the water temperature is still hot, tourists are not allowed to touch the water because it is contaminated. 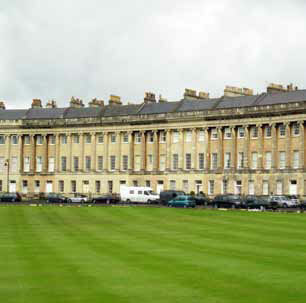 The Royal Crescent, viewed from the Royal Victoria Park is a row of 30 Georgian-style terraced houses whose area is designed in a semicircle like a crescent moon. 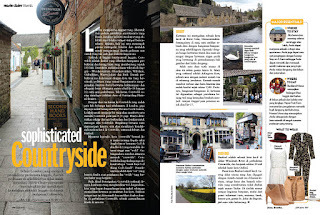 Designed by architect John Wood the Younger and built between 1767 and 1774.